175 anti-inflammatory diet recipes to make for the hottest kitchen appliance—the Instant Pot for those who want fast, delicious meals the whole family will love. Chronic inflammation is a major health risk and can wreak havoc on your body, contributing to many types of diseases. But preventing and/or reducing inflammation doesn’t have to be an overwhelming challenge. Diet—particularly one high in processed, fatty, and sugary foods—is one of the main causes of chronic inflammation, but by introducing anti-inflammatory meals into your diet, you can reduce inflammation and enjoy a healthier lifestyle. The Instant Pot can be used to create healthy anti-inflammatory meals that are quick, easy, and most importantly delicious. 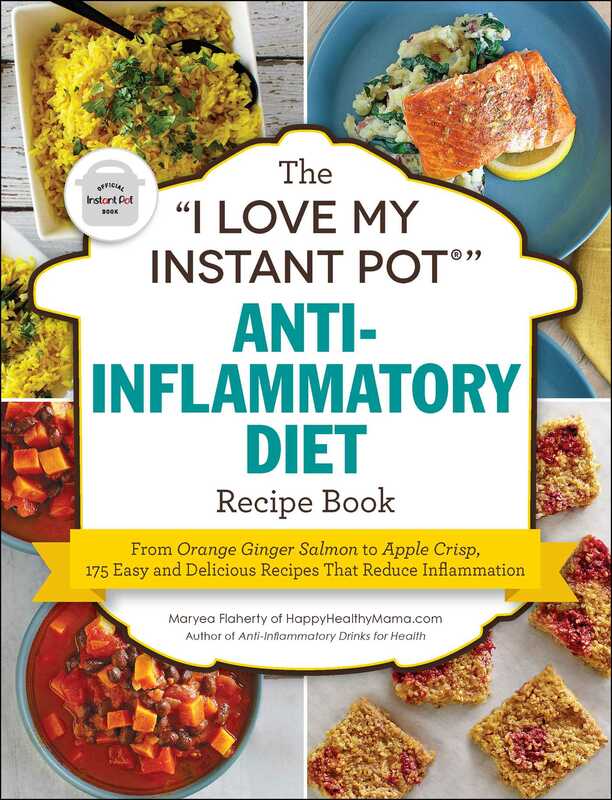 With 175 recipes and photographs throughout, this cookbook is perfect for those who follow an anti-inflammatory diet. Whether you are new to the Instant Pot or an expert, this easy-to-understand cookbook takes you step-by-step through exactly how the Instant Pot works and offers simple recipes that anyone can follow. The “I Love My Instant Pot®” Anti-Inflammatory Diet Recipe Book shows you how to make satisfying, whole-food dishes from breakfast to dinner and from snacks to dessert. Discover how quick and easy it is to follow the anti-inflammatory diet using everyone’s favorite cooking appliance. This cookbook makes creating healthy recipes in your Instant Pot easier than ever! Maryea Flaherty is the blogger behind Happy Healthy Mama, a healthy lifestyle blog that inspires others to live their healthiest life. She's been blogging since 2010 and her work has been featured on Self, BuzzFeed, Greatist, Foodgawker, Tastespotting, Finding Vegan, and in Low Sugar Living magazine.